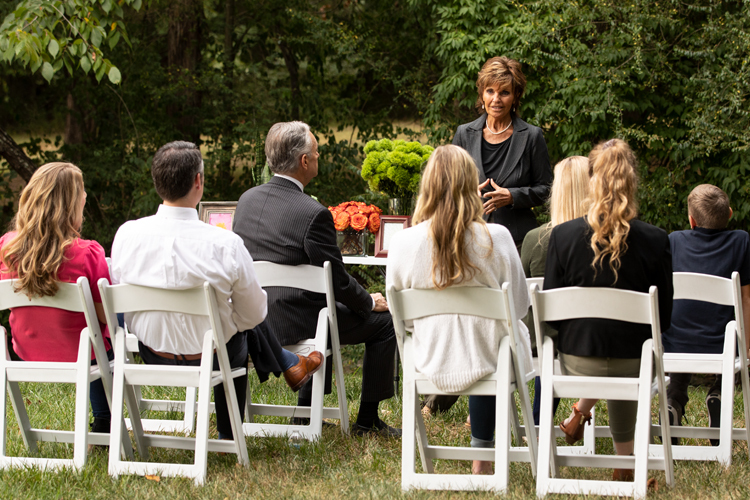 When Geauga County families come to Burr Funeral Home and Cremation Service, they work directly with our highly experienced, caring team to design the perfect farewell. Whether your choice is traditional burial or cremation, we can help you create a visitation and a funeral service or memorial that will be remembered for years to come. Something simple and contemporary or traditional and elaborate – and everything in between – our team has served people from all backgrounds, and we can meet your needs, wishes, and budget. With our signature Hospitality Services, both you and your guests will feel right at home at Burr Funeral Home and Cremation Service. If you want to organize a larger gathering either before or after the funeral, we can help you arrange a reception at a local restaurant or banquet hall. For 160 years, we’ve been assisting Northern Ohio families honor life and create memories. Contact us, and we’ll do the same for you.